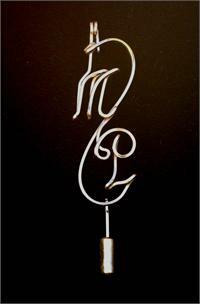 Welcome to the finest Wire Name Jewelry on the web. 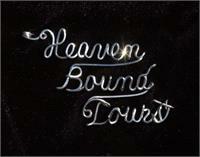 Custom made to order by a third generation wire artist. Buy from the best! Be sure to check out our Sterling Silver Sale! 20% off all Sterling Jewelry. Use the code "AU20" at checkout. 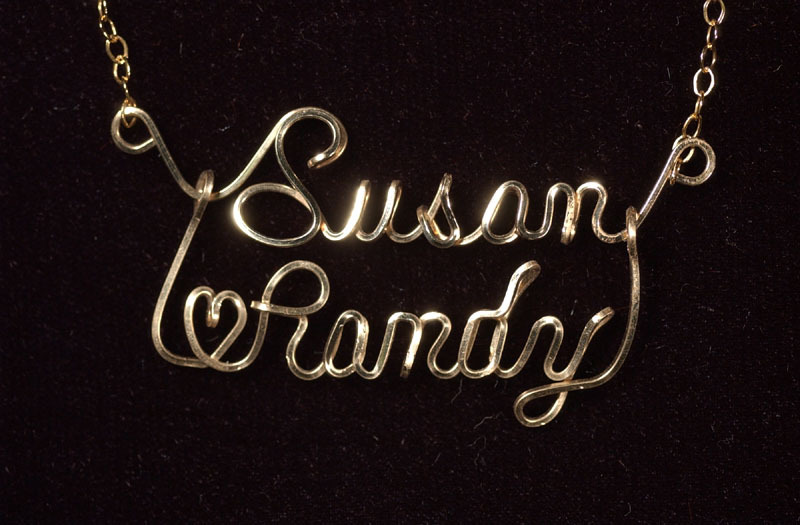 Welcome to the absolute finest Wire Name Jewelry on the Web. Handcrafted by one family for three generations. 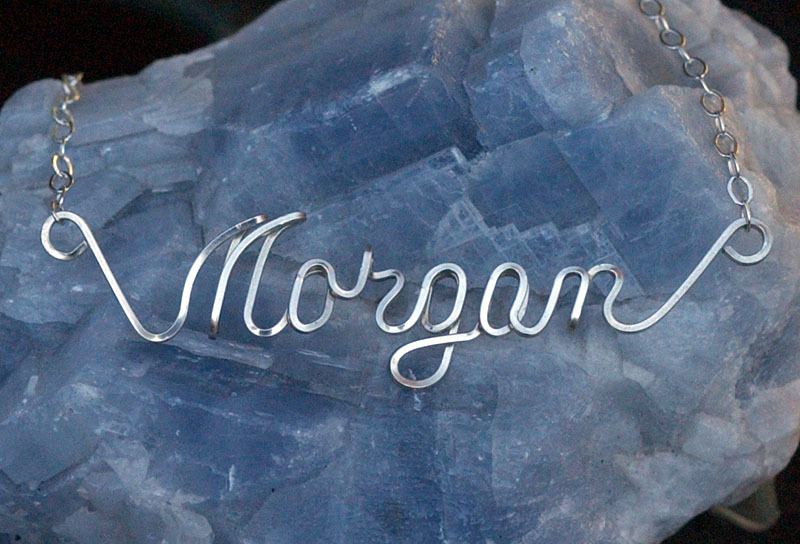 Script Craft Wire Name Jewelry just recently closed our shop of twenty years in Capitola Village, CA and are now available exclusively on the web. 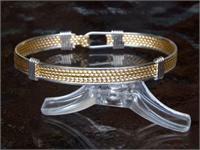 We still feature the same fine Custom Handmade items as before as well as adding new items as we go along. 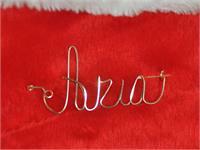 All of our Wire Name Jewelry is made from the finest lifetime quality 14k Gold Fill and Sterling Silver wire. Our handmade, Square Wire Jewelry is a unique, Personalized Gift for yourself or that special friend. 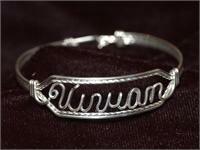 As you can see, we can make you a custom Name Bracelet, Name Ring, Name Pin, Name Earring, or maybe a custom design. 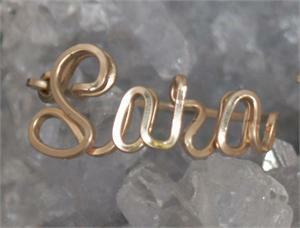 Check out the new Romance Style Double Name Bracelets, Necklaces and Pins. You can get a Two Name Romance Style Necklace or Pin or Two Initial Necklace with you and your friend on it and a heart in between. Our jewelry makes a unique gift for all occasions, holidays, Baby gift, Childrens gift or showing appreciation to bridesmaids. 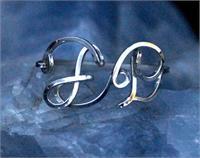 The Name Ring has been especially popular with the teens lately. 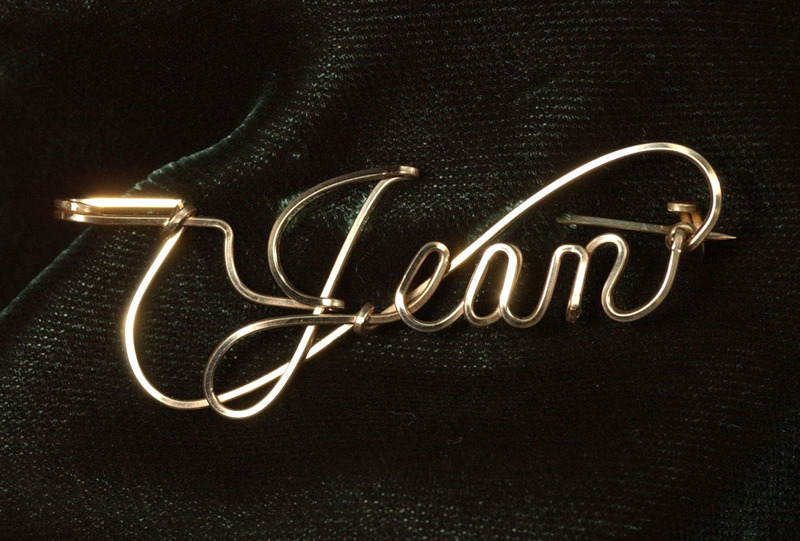 The Name Pin, our oldest item, seems to have found new life as a popular option. If you have any questions, please feel free to call us at 1-800-777-1169 or e-mail us at namewriter@yahoo.com.